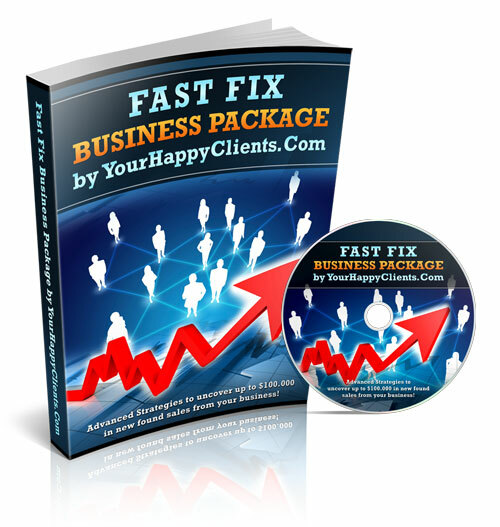 Your Happy Clients - Get More Business! The numbers are pretty scary. 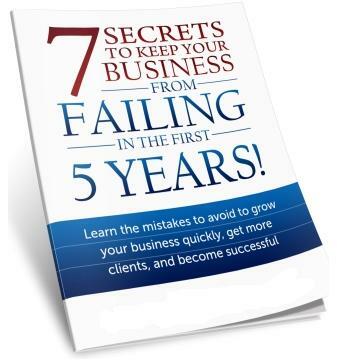 In the first 5 years 68% of businesses will fail! And these numbers are only slightly better (62%) for franchises. Are you ready to learn how to move the odds in your favor? 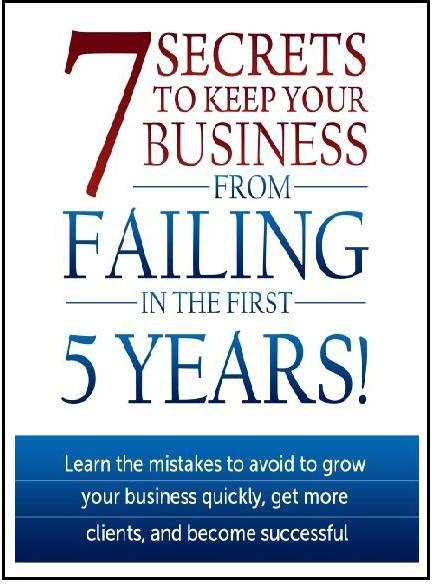 Enter your email address to receive: "7 Secrets to Keep Your Business from Failing in the First 5 Years!" Your free report will be sent via email. How to Keep Your Business From Failing. Common Mistakes That Businesses Make. What It Takes To Change Your Situation Immediately. YES! I want instant access to this Free Report that will help me gain more freedom in my business and more time to enjoy life! YES! I understand that this report is a downloadable PDF which will arrive via email and is not available anywhere else. The services that we offer came out of a need that we recognized in the marketplace. Over the years we saw too many small to midsize business owners frustrated by the 'Madison Avenue Types' who blew in and out again leaving very little business growth or revenue to show for their efforts. The ad agencies, and graphic design shops, are often more focused on the next award show. I know having spent the last 20 plus years working with them. You want clear and precise instructions on what it takes to bring your business out of a slump. Maybe you have just started a business and want to beat the odds of the 68% that fail in the first 5 years! Now you can discover what to do immediately to grow your businesses and increase bottom line profit. If you own a business and you're tired of waking up at nights trying to figure out how to meet payroll, or who to layoff, we assure you that there is another way. More than 87% of the businesses that we work with were not using anywhere near their full range of assets. Isn't it time to separate yourself from the pack and stabilize your chances of becoming successful? Start with this free report by entering your email in the box below.